Robberies in England and Wales rose by 11% between July and September last year, with overall violent crime up 4%, Home Office figures show. The rise came after robberies jumped 4% in the previous quarter following the ending of a government scheme to target the problem of street crime. 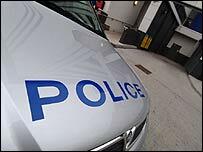 Total recorded crimes fell 1% to 1.37m incidents compared with the same period a year ago, and burglaries were lower. The figures come as the Home Office reviews the way crime is measured. Release of the data often sparks a political battle, with ministers arguing with opposition parties about what the different figures mean. The recorded crime figures can differ sharply from the British Crime Survey (BCS), which polls people's experience of crime. Interviews for the BCS for the year to the end of September indicate overall crime dropped by 2%, and violent crime was 5% lower. Broken down, the quarterly Home Office figures for violent incidents showed offences such as homicide and serious wounding fell by 10%, while lesser assaults increased by the same level. A spokesman for the Association of Chief Police Officers, Chris Sims, said the fear of crime was the "most worrying piece of data" to emerge from the BCS. Mr Sims, Deputy Chief Constable of West Midlands force, told the BBC: "Despite the fact that actual crime is falling... people's fear of crime still continues to grow and that's an issue I think for police and others to try to tackle." In the year to the end of September, gun crime rose 1% to 11,110 incidents. Michelle Forbes, from anti-firearms group Mothers Against Guns, claimed many violent crimes still went unreported. She said witnesses were afraid to come forward because of an insufficient level of protection offered to them. Norman Brennan, the director of the Victims of Crime Trust, called for the recruitment of at least 50,000 extra police officers to help "reclaim the streets from the criminal untouchables". The Statistics Commission said last year that the Home Office should be stripped of the task of compiling and processing the crime figures. An independent panel of opposition party nominees and other experts will suggest new methods of calculating the data which is "transparent, understood and trusted", the Home Office said. 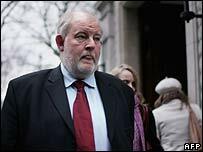 "I have been concerned for some time that Home Office crime statistics have been questioned and challenged," Home Secretary Charles Clarke said. "Most people seem confused about what is happening to crime in this country." The government's Street Crime Initiative targeted the 10 worst-hit areas and reduced offences by almost a third between 2002 and 2004-5. But since the £81m programme ended last April, street crime has increased. The Metropolitan Police has said the main factor behind a rise in muggings in London is the increasing number of hi-tech goods being carried by people such as the new generation of mobile phones and MP3 players.